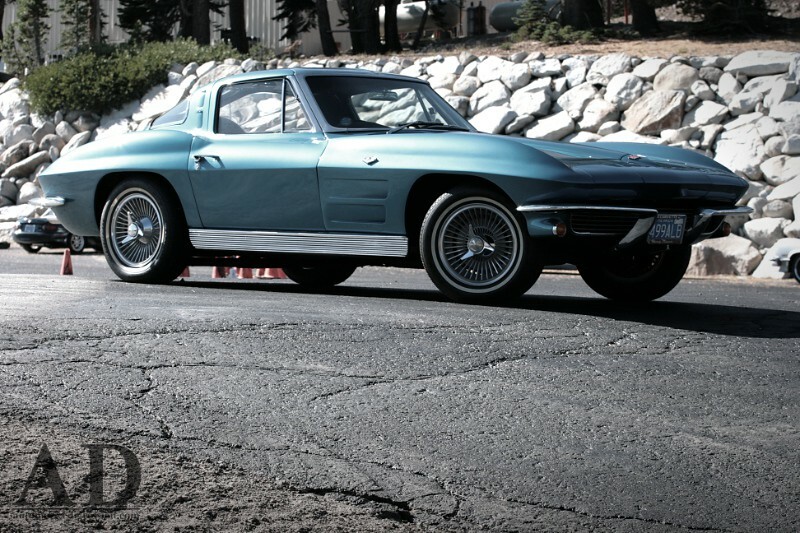 This immaculate C2 Sting Ray belongs to a casual autocross observer in the Lake Tahoe area. All automotive enthusiasts seem to have a heightened awareness of special cars nearby. You know what I mean. We all have that friend that can spot a Ferrari 308 GTS in oncoming traffic, going 75 mph. Call it intuition. It doesn't matter if we're on foot or on the freeway, we spot the unusual. 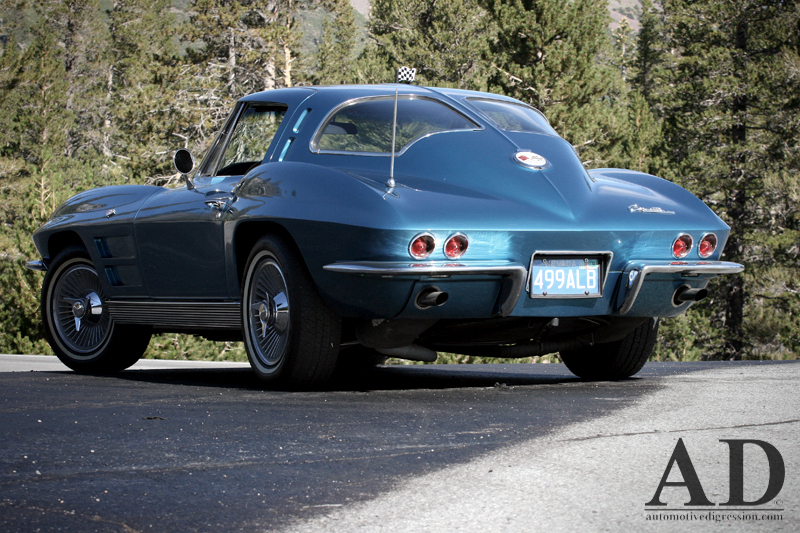 This exceptionally handsome C2 Corvette caught my eye while I was shooting an autocross event this past summer. It wasn't just the Jaguar E-Type inspired design that grabbed my attention among a competitive field of Civics and Monte Carlos. It was how new this aged beauty looked. When I approached I learned why. 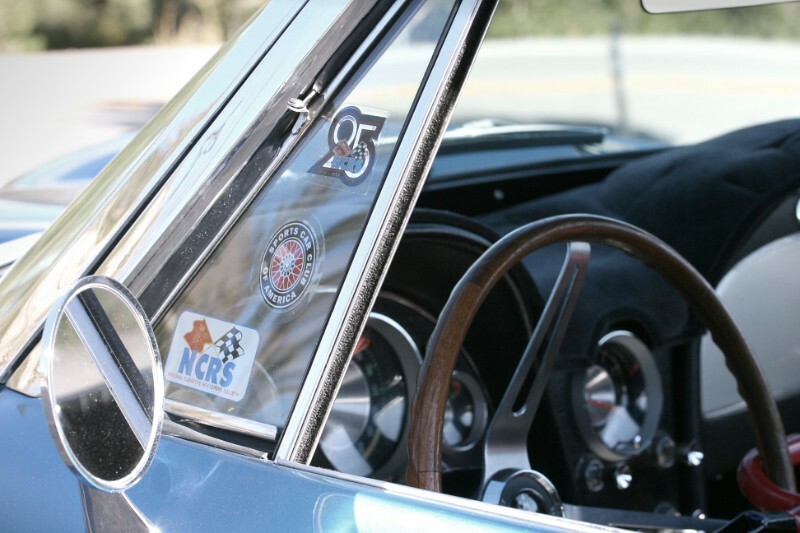 The NCRS (National Corvette Restorers Society) are a group of Corvette purists. A society where one takes pride in being able to honestly say, "The numbers match". 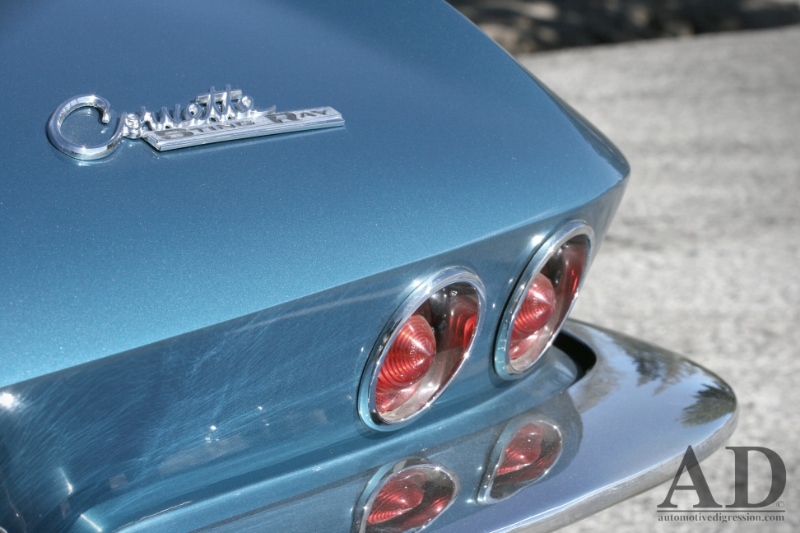 Original showroom restorations are done with certified parts. The club has the support from the General Motors Heritage Center to document the history of these cars. These owners care about the details, and it shows.